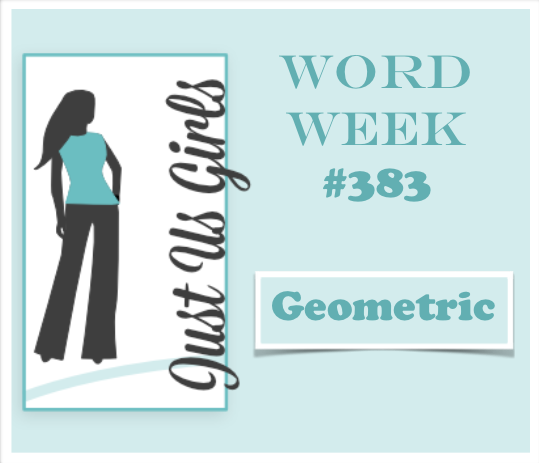 Hello Friends, We have a fun word for you this week over at Just Us Girls. The word is so unusual and really caused me to think. The word is Geometric. I was rather puzzled, so I decided to hit up Pinterest to see if I could find a card to CASE, and HERE it is. 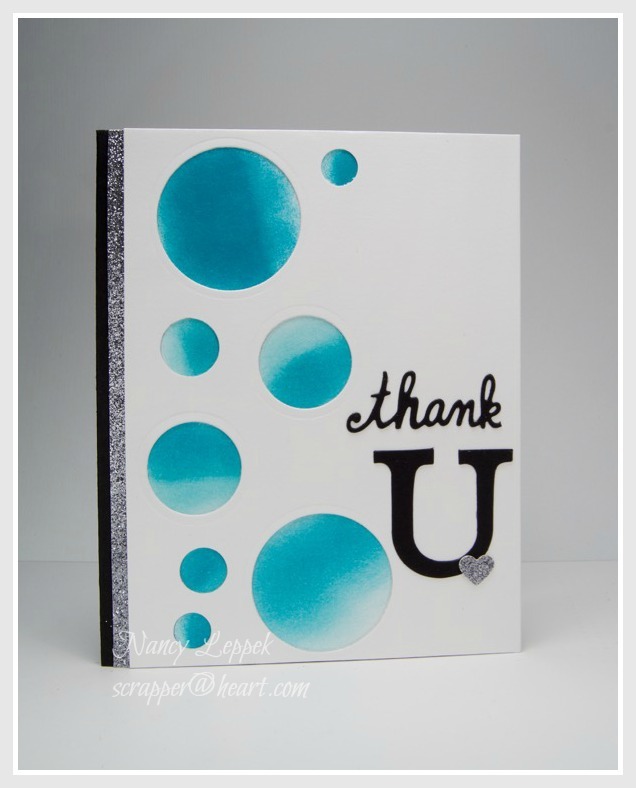 The Thanks die is from Savvy and the U is an alphabet set I have from Sizzix. I thought it needed one more element so I decided to add the sparkly silver strip along the edge and the punched heart in the same SU paper. I would also like to take this opportunity to welcome our new Guest Designer for this month… Nancy Salkeld! We are so glad to have you with us! Categories: Cards | Tags: Card making, Cards, rubber stamps, stamping, Thank you card | Permalink. This word would have stumped me too. Thanks goodness for Pinterest. Love the blue shades of color her in your card. It is CAS but stunning and right on the spot. See you soon! Great circles, beautiful colors! Love that BOLD sentiment too! (okay gremlins are back, but they didn’t put up much of a fight lol) YAY! I didn’t think the word was that unusual, Nancy, but then I had a stamp set in mind when I chose it. 😉 I love what you did with the pretty blue ombre inking peeking through the holes. Love your card and the pretty blue ombre peeking through the holes. A great geometric card. I love the design you made with those pretty blue circles. You always come up with ‘fabulous’ creations. Great take on the ‘case’ and you have made this one your own. Love the strips down the side and that big sentiment finished perfectly with that little heart. Awesome! Love your circle design and pretty colors. Great card! Love those shaded circles! This is a fantastic design and I love the addition of the little glittery heart and strip. You did a fab job for being stumped! Those circles look like water! Love it! Oooh! This is so pretty! Love the ombre circles and the touch of silver glitter just makes this fabulous card even more so! I think you really nailed that challenge, and I love the colors you chose. I think the glimmer paper is a perfect final touch, well done!! !